Osteoporosis can have several causes, some of which are hereditary and some of which you can to a greater or lesser degree control. For instance if someone in your family has or had osteoporosis, you’re more at risk and simply being female also increases the odds as does having a hysterectomy where both ovaries are removed. A history of irregular periods, over strenuous exercise or going on crash diets can serve as an early warning to take care of your bones. If you are on the small side, with small bones, and under 130 pounds you have less bone mass to begin with, so need to be particularly vigilant. about their bone health. A diet deficient in vitamin D and calcium, phosphorous, magnesium, vitamin K, vitamin B6, and vitamin B12 also constitute a higher risk as all are important to bone growth. If you drink a lot of caffeine and carbonated drinks that also increases the risk, particularly caffeine as it limits how well your body absorbs calcium. Now it seems there is a new risk as recent research led by Hiroshi Takayanagi, at Tokyo Medical and Dental University, Japan, has suggested that the imbalance between bone formation and bone destruction that causes osteoporosis is a result of a decrease in formation of bone forming osteoblast cells from mesenchymal cells upon aging. This research was done on mice, not humans, but they believe this provides insight into this decrease and might provide new avenues of research for those developing approaches to treat age-related osteoporosis. Aging disrupts many of the body’s systems and not it seems it disrupts the balance between bone formation and bone destruction, resulting in osteoporosis, which is characterized by reduced bone mass and increased risk of fracture. This research has highlighted as we get older that there is a decrease in formation of bone forming osteoblast cells from mesenchymal cells and instead, these cells form more fat cells. 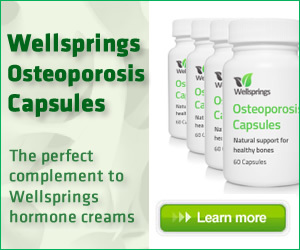 Most of us we have more fat cells as we get older, but very few will realised its potential effect on osteoporosis. Laurie McCauley, at the University of Michigan, who commented on the research, believes this data could lead to new approaches to treat age-related osteoporosis.